Rajesh Mehta is a known and respected professional in the industry. He has a very successful career, spanning more than 2 decades and has vast experience in strategic planning, marketing, branding, media planning and buying. He has multi country, multi cultural experience. He is a detail oriented professional who believes in lateral thinking, converting new ideas & consumer insights into actions and delivering new products to result in the revenue growth, market growth, market share and marketing metrics. Rajesh Mehta has successfully led Management & Marketing teams and programs at Western Union, Emami, Pidilite Industries, Rasna, Tips & Toes and Mukand. 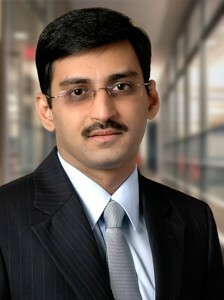 He had been an integral part of the leadership teams in all these organizations. Rajesh Mehta has carved out Global Marketing and Branding Strategies and implemented the same at Domestic & International Level. He has proven abilities to improve marketing operations, impact business growth & maximize profits through achievements in cost efficiency, cost reductions & process improvements. He has pioneered product strategies and marketing plans and delivered revenue and profit gains within highly competitive markets. He has won many awards at personal level and for work commissioned by him on professional level. Rajesh Mehta is a seasoned speaker and have spoken at many of the prestigious forums like CII, FICCI , CMO Pitch Summit and many more. He has been the official spokesperson for many of the organizations he has worked in. •	Project consultancy on `Concept to Consumer’ strategy delivery. •	Retainer for varied levels of Strategic and marketing issues. "SATYAKAM" takes great pleasure in presenting Mr Hemang Laheru Program Director and Master Practitioner of PRISM Brain Mapping in India. 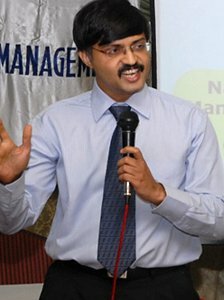 Mr Hemang Laheru is a young trainer who his making waves in the corporate world for his measured and precision analysis and feedback along with individual counseling skills which compare with the best internationally. His ability to use the PRISM Brain Mapping tool to enhance the team building process in companies make him a very much desired faculty to have in the Satyakam Team. He is highly articulate, confident and persuasive team-builder, able to motivate and communicate to achieve goals of all stakeholders. 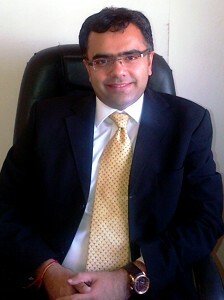 Mr Hemang Laheru has completed his MBA in Strategic Marketing at the University of Hull in the United Kingdom. He is a highly skilled Management Graduate experienced in the formulation, expansion and implementation of high level strategies relating to people and business in diverse verticals like Retail, Well being, Logistics and Talent Development. He has successful stints with Comet Group in the United Kingdom, Gold Shield Group in United Kingdom, DHL Global Forwarding in Singapore and Sanda Excellence in India. Besides being an integral part of Satyakam for genuine OBTS on Teamwork, he is also Director of Smart Move PMC Pvt. Ltd. He is also Visiting faculty at Institute of Future Education, Entrepreneurship and Leadership (IFEEL, Lonavla) for Psychometrics and Emotional Intelligence, Jaro Education (Belgian MBA Program) designing and delivering modules on International Human Resource Management and at Future Education, Distance MBA Program for International HR and International Retail Marketing. He is in the process of finalizing a detailed and intensive program for Chowgule College, Goa, BITS PILANI, Goa and Goa Institute of Management. Hemang Laheru is fluent in four languages English, Hindi, Marathi and Gujarati. "SATYAKAM" strongly recommends that Hemang Laheru’s segment and contribution is of vital importance along with the Behavioural Brain Mapping of every individual to complete the Team building process. Amey Hegde is an internationally certified Corporate Behavioral Trainer, Management Consultant and an internationally published Author. Amey has been personally coached by various master motivational trainers on the international concepts of Edward de Bono’s Six Thinking Hats® & Lateral Thinking™, Facilitation Skills to Crestcom® standards, and Neuro Linguistic Programming (NLP). He has been personally trained and certified to practise Integral Eye Movement Therapy (IEMT) by Andrew Austin, the founder of IEMT. Amey is a certified Master Trainer of I Create for training aspiring entrepreneurs. He is also certified to administer and debrief the internationally acclaimed psychometric assessment Thinking Pattern Profile™. Amey has over 16 years of work experience in several MNCs and Fortune 100 companies in Europe and India with a varied cultural exposure while working with teams from USA, Canada, Germany, Japan & China and before stepping out into the entrepreneurial training field, was last working at Wipro Technologies, Bangalore. Amey has also conducts executive coaching and psychometric assessments. Amey has trained participants from various organizations and Corporate Houses. Sylvia Pires is a professional coach and mentor. 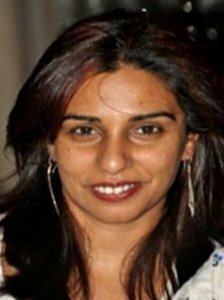 She is a Master Practitioner in Neuro Linguistic Techniques and a Life Coach. She is also a facilitator in the Jump Movement and a transformational breath facilitator; and a teacher in Power Yoga. NLP coaching and mentoring is an advanced method using simple and effective techniques to assist all levels of organisations to make decisions, achieve goals, find a work -life balances, and set future goals and strategies in a shorter timeframe than with other mentoring techniques. She is also proficient and qualified in other alternative methods of coaching and mentoring like the Jump Movement and transformational breathing. Jump Movement is a technique of a series of structured conversations happening across an organisation in a safe environment assisting senior management to achieve a host of goals without needing to use the top down approach and is a great way to gauge the internal group dynamic toward a goal set by senior management without compromising on confidentiality of the individual employee through graph and charts. She has trained under the founder Ineke Hurkemans. Transformational Breathing is a technique to facilitate physical, mental and emotional healing through various breathing methods. She has received her training from Marianne Verrijte from Kuuganisha Training in Kenya and Theo Bruekers Institute in the Netherlands for NLP Master practitioner and life coaching, whilst training on the Jump Movement with the the founder, Ineke Hurkmans from the Netherlands and transformational breathing is from one of two trainers across Africa, Vincent Oloo conjunction with the founder of Transformation Breathe, founder, Dr. Judith Kravitz from the United States.